The fact that you are checking on repairs for a Mac Pro means that you are having a serious business issue. Either one or more workstations are having computing issues, or the server for your entire company is performing poorly. Perhaps there has been serious damage done by an electrical fault, a fire or water damage from a sprinkler system. No matter what the situation is, Computer Answers has dealt with it before and dealt with it successfully and efficiently. Just to be sure there is no mistake being made, a Mac Pro is not the same as a MacBook Pro. The Mac Pro is the rectangular (first generation) or cylindrical (since 2013) computer tower first introduced by Apple as a business/enterprise solution in 2006. 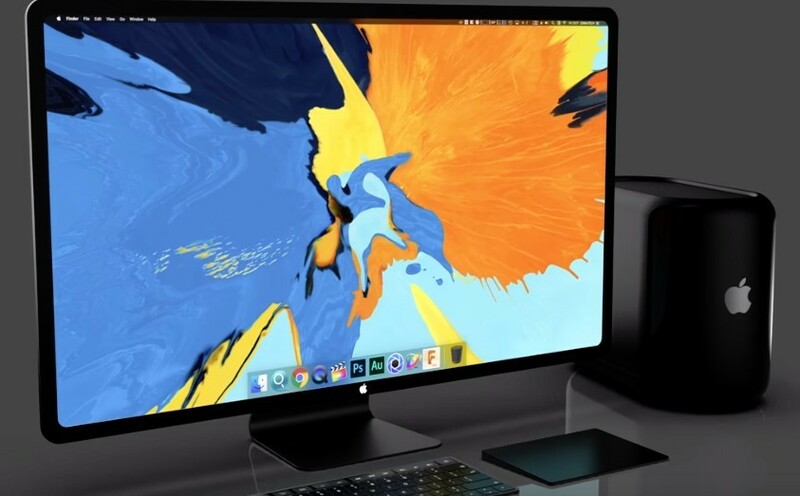 As a replacement for the G5 Power Mac, the Mac Pro switched to Intel processors to create the most powerful desktop computer among Apple’s offerings. At the bottom of this page we list several possible issues and/or service suggestions for a faulty Mac Pro. Your first step when a problem arises – or to schedule regular service to ensure many problems do not arise – is to contact Computer Answers. We have been servicing and repairing Apple products since 1999, which means that we have been familiar with the Mac Pro ever since its arrival, through its two generations and its adaptation into the Mac Pro Server. You can call us Toll Free at 866-488-2806 or use our Contact Form. Either way, you’ll soon be talking with a Computer Answers pro who knows what to do get your Mac Pro – and most importantly your business – back in great running order. At the bottom of this page you’ll see some general categories as to common problems Mac laptops in general, and MacBook Pro in specific have had in the past. We know them well and we have successfully fixed them. And if you just don’t know, that’s okay too. You didn’t buy that MacBook Pro to learn how to become a computer technician. . So either call us Toll Free at 866-488-2806 or use our Contact Form. Either way, you’ll soon be talking with a Computer Answers pro who knows what to do get your McBook Pro – and most importantly your enjoyment of it – back in great running order. Visit Us At Any One of Our 5 Convenient Locations In New York Including Williamsburg, Brooklyn, Albany, Clifton Park, East Greenbush, and Schenectady. Of course the best way of solving a problem is by doing all you can to avoid having a problem. At Computer Answers, we offer a Free Diagnostic for any computer, including a Mac Pro, brought in or shipped to one of our five service centers. If that is not feasible, as it may not be for a business workstation, it makes sense to arrange for a trained Computer Answers technician to regularly inspect your Mac Pro computers on site. Contact us now before an emergency occurs. If you notice a gray screen appearing when your Mac Pro is turned on, there are several possible reasons. It may be that there is a flaw or compatibility issue with your version of Mac OS X. If you do not have your startup disc at hand, there is no reason to worry. At Computer Answers we have all the possible startup discs for the various versions of OS X. We can re-install or advise you if an upgrade is in order. Perhaps your Mac Pro is just running slowly. Are there unexpected freezes or are your workstations crashing? Maybe you have noticed Applications that you don’t remember installing, or you think that you may have come under a virus attack leading to a security leak. If any of those issues sound like something happening with your Mac Pro, you may have a virus or spyware issue that needs to be fixed promptly and carefully. At Computer Answers, we will analyze your software and that diagnostic service is free. If you approve, we will update your security applications and remove any spyware or other damaging programs. Whether a staff member spilled a cup of coffee on the server, or if your Mac Pro was exposed to the sprinkler system during a fire emergency, it is crucial that you get that computer into the hands of a Computer Answers professional technician as quickly as possible. Time really is of the essence as that water may be creeping into your Mac Pro’s logic board, possibly causing extensive damage to the data contained in the hard drive. Your laptop may even seem to be running fine for a while after water exposure. CAUTION! If your Mac Pro has become wet, do not turn it on! Contact us immediately. Are your workstations having difficulties with their wifi connection? That could mean there is a problem with one or more individual workstation terminals, an antenna issue, incompatible software or a repairable problem within the Mac Pro itself. The most efficient way of getting to the root of the glitch and fixing it is bringing in a Computer Answers technician who can quickly identify and repair the broken connection. In an extreme situation your MacBook Pro may become so damaged that it simply cannot be fixed. Vandalism or a house fire could be the cause, or perhaps a car accident, but the cause itself is not important. What is important is recovering the weeks or even years’ worth of important files contained on your computer’s hard drive. When Computer Answers performs a Free Diagnostic assessment, we will take a close look at your hard drive and give you an honest estimate as to how much of the data is recoverable and at what cost. You can trust that if it can be saved, Computer Answers will save that data and we will move it to a new hard drive for you.